The early Titanfall 2 PS4 multiplayer ‘tech test’ runs at 900P with visible FPS drops. At Gamescom 2016, Respawn Entertainment and EA released the Titanfall 2 multiplayer tech test trailer. The game will be using a heavily modified version of Valve’s original Source Engine. Eurogamer’s Digital Foundry managed to analyse the PS4 version of the multiplayer Pre-Alpha ‘Tech Test’, and it would seem that the game runs at a resolution of 900P (1600X900). Making its series debut on PS4, Titanfall 2 runs at a native 900p on Sony’s machine. This early multiplayer ‘tech test’ also reveals the state of the game’s optimisation right now – mostly hitting 60fps with v-sync always engaged, but with visible drops. However, there’s plenty of time to improve this by its October 28. Judging from the video, most FPS drops occur when Alpha effects are in place. As Digital Foundry correctly mentions, there’s still a lot of time left to improve the game’s performance however, and we’re pretty confident that performance will improve. Titanfall 2 was officially announced earlier this year, and during this year’s E3, EA and Respawn announced the release date for the Titanfall sequel. Unlike the original Titanfall, Titanfall 2 will feature a full-fledged campaign mode that explores the unique bond between man and machine. Playable offline, the single player campaign in Titanfall 2 will let fans step out onto the Frontier as a Militia rifleman with aspirations of becoming an elite Pilot. Stranded behind enemy lines and facing overwhelming odds, players must team up with a veteran Titan to uphold a mission they were never meant to carry out. 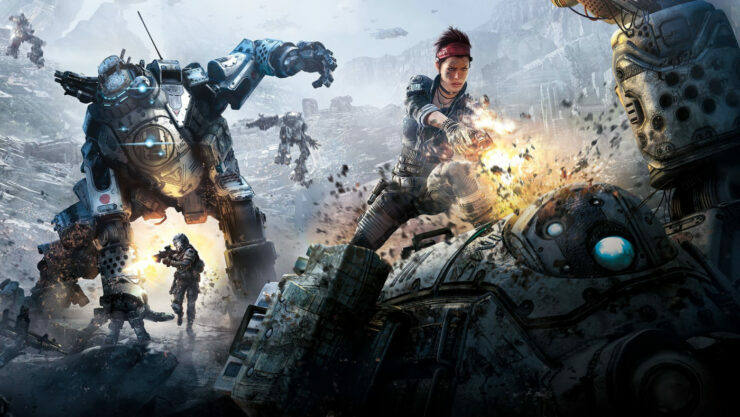 In multiplayer, Respawn is continuing to evolve their best-in-class gameplay to provide a more robust experience that delivers expanded depth and variety that includes six new Titans, deeper Pilot abilities, more customisation options, and a robust progression system that is sure to satisfy fans. Titanfall 2 releases globally for Xbox One, PS4, and PC on October 28th.